When you reminisce about the “good ole days”, do you think of a time you had a taut tummy and pleasing physique? You can’t go back; however, Dietspotlight Burn TS promises to aid in weight loss now. If you’re thinking your new hot body is just a click away, let’s gather information on Burn TS first. Dietspotlight Burn was previously known as Avesil and Leptigen. These 2 products caused huge controversy due to deceptive free trial offer. You can read our old review of Avesil here. Review : How Does DietSpotlight Burn TS Work? Creators of the supplement define it as a “thermogenic and lipolysis-inducing agent”. The ideal is to aid the body in releasing its stored fat. 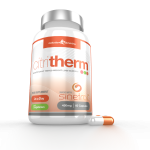 In simple language, thermogenic means that the formula increases the body’s internal temperature to “burn” fat. Lipolysis-inducing action is attributed to the ingredient, Meratrim, which breaks fats down to discharge fatty acids. The manufacturer sings the praises of Burn TS for “purity of its ingredients”. It’s interesting that the supplement doesn’t contain specific plant-based ingredients straight from nature’s pharmacopeia, but uses two patented ingredients, Meratrim® and ChromeMate®. Chromate is a variety of the mineral, chromium, which is shown to help regulate blood sugar levels. Healthy glucose levels are an important aspect of weight loss, because a spike in blood sugar levels and later, a crash, causes hunger pangs. Are you an emotional eater? Take this quiz! Burn TS is celebration-worthy, provided the company’s claims prove true. Dietspotlight markets the supplement as an “advanced weight control formula”. Also, they promise users of their product enhanced energy and increased metabolism. Research supports that when 800mg Meratrim, per day is consumed for 12-18 weeks, it can positively impact weight loss. Also, caffeine and green tea extract are well-known stimulants, which can improve energy levels and moderately increase your metabolic rates. Everyone is different. If you can stick to an exercise program and balanced diet for about three months, the Burn TS supplement contains research-backed ingredients that are a factor in weight reduction. You can read detailed analysis of ingredients below. Dietspotlight Burn appears to get good marks for safety, when used by healthy men and women. None of the ingredients are associated with serious side-effects. Burn TS contains a meager amount of caffeine (less than one cup of black coffee). Of course, you should proceed with caution if you suffer from caffeine sensitivity. Discontinue Burn TS if you experience side-effects from caffeine or other ingredients. As a non-thermogenic weight loss supplement, Burn TS cannot cause any serious side effects. However, it has mild caffeine in it. Some users may experience minor discomfort like nausea, stomach upset and giddiness. Otherwise, it is a safe supplement. Not intended for use by persons under age 18. Do not exceed recommended dose. Do not consume caffeine from other sources, including but not limited to, coffee, tea, soda and other dietary supplements or medications containing caffeine. Contains caffeine. Customers with a sensitivity to caffeine should consult their primary care physician before use. Consult with your physician prior to use if you are pregnant, nursing or taking medication. Meratrim, Chromemate, Caffeine & Green tea extract are the primary ingredients of Burn-Ts. Of all the ingredients, Meratrim is the only ingredient which went through company sponsored clinical trial. After two weeks, Meratrim significantly reduced body weight by 4.5 pounds and waist and hip circumference by 1.6 inches and 1 inch, respectively, compared to placebo. After eight weeks, weight was significantly reduced by 11.5 pounds and waist and hip circumference were reduced by 4.7 inches and 2.4 inches, respectively, compared to placebo. Study participants walked 30 minutes five days a week and followed a standard 2,000 kcal/day diet as part of the lifestyle change. Take 1 capsule, twice daily, 30 minutes to 1 hour before breakfast and lunch. Take with 8 oz glass of water. If you miss a serving, do not double your intake, wait for your next scheduled serving. 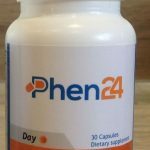 Do not exceed 2 capsules in a 24-hour period. You can buy it from official website burn-ts.com. I highly recommend that you stay away free trial offer as it can lead into fortunate credit card fraud. Optionally, you can buy it fro Amazon.com. As of now it is not available on Amzon.co.uk website. $3.95 for free trial or 3 GBP. <<< However, Please avoid this! When separate ingredients in Burn TS were scientifically tested, they indicated promise for weight loss support, as well as boosting energy and metabolism. The chromium aids in maintaining glucose levels to assuage hunger. Citritherm is a fat burner without any side effects. It is clinically proven too! 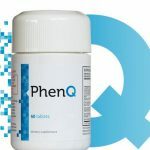 If you are considering this or any weight loss product, check with your doctor before beginning. Nevertheless, Burn-TS is a bad choice due to its promoter’s tainted history. Morover, there are many alternatives avaiable.